With a carrying capacity of 40 stone, the semi nesting Porta bariatric portering chair is robustly built for use within busy hospitals. The Porta bariatric porter chair has drop down arms, two push handles, a sliding footrest and solves the growing problem of transporting bariatric patients. 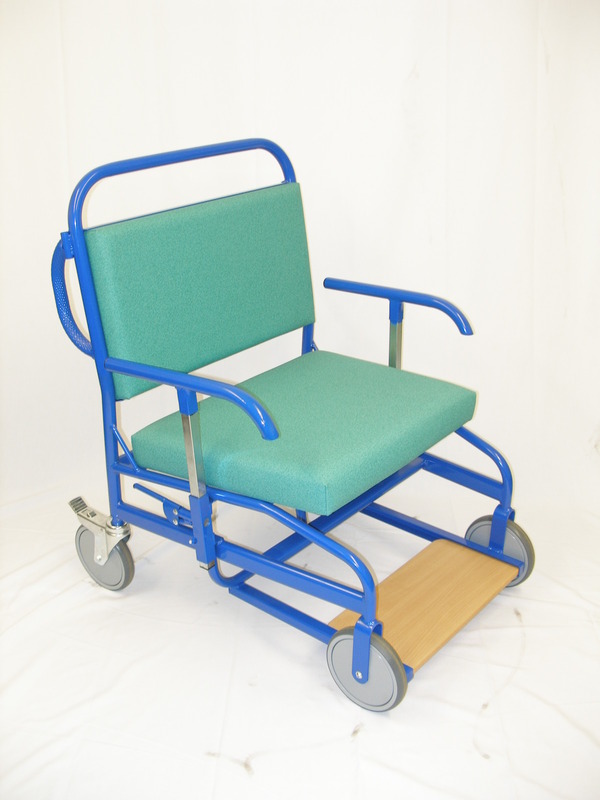 The Porta bariatric chair is available in any colour from the Chieftain range of flame retardant vinyl fabric.